Men, because of the dominant male hormone, testosterone, have thicker skin. So they - especially younger men - are more likely to have excessively oily skin. 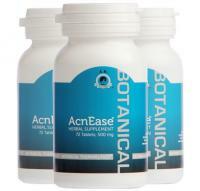 When this happens, acne incidents are usually more prevailing, more persistent and difficult to get rid of. Based on subscribed stereotypes, many men chose a regimen that may actually be harming their skin instead of helping it. Here's how to tell if you're one of those people, and how to steer clear of the #1 skincare mistake that men make that may make their breakouts worse. Because of the intense oil production, it is VERY important for men to maintain skin (face and body) hygiene while not irritating and stripping their skin from all the skin oil. Washing excessively won't help you get clear skin. Taking showers after physical activity and washing your face in the morning and at night are essential. There are highly effective ways to wash and moisturize skin that is prone to breakouts. Treating your skin: Here's the #1 skincare mistake that men make! Men are less likely to reach out for an acne treatment, which leads to a more aggravating condition of chronic acne and often to acne scars - and this is one of the main reasons why it may take longer for a man to get rid of the breakouts. With more testosterone stimulating the sebaceous (oil) glands, men should start with an acne treatment for the face and body acne as soon as they see the symptoms. Just because men have thicker skin doesn't mean they are less prone to skin problems including skin damage, skin cancer, premature aging or dry and sensitive skin. Many men forfeit the protection against those problems and end up injuring their skin just because of what they don't (or do) use on their skin. Many products that contain harsh chemicals, like salicylic acid or alchohol, can do more harm than good. The skin goes in to defense mode since ingredients like this can dry and irritate the skin - in turn, the sebaceous glands produce more oil, which is the exact opposite of what you want to happen! Sun protection (broad spectrum, minimum 15 SPF, noncomedogenic) is also essential. More men suffer from basal-cell carcinoma (a form of skin cancer) on the face, ears and neck than women. We highly recommend daily sun protection, especially during the summer or if you live in a warmer climate. Using the right sunscreen will not exasperate your acne if you wash your skin properly at night. When blood sugar and insulin levels rise, whether from a poor diet or from stress, a serious increase in inflammatory body chemicals occurs. This reaction prompts the adrenal steroid level to rise, which prompts a rise in androgens to stimulate the sebaceous glands, resulting in a flare-up of acne. Try as best you can not to add additional stress to your life, consider not drinking coffee or larger amounts of alcohol and beer. Drink plenty of water (especially on those business trips) and try to get atleast 6 hours of sleep per night. Many men find themselves with pimples and inflammation resulting from razor bumps and ingrown hairs caused by shaving. Using a chamomile astringent may help in preventing or soothing the inflammation. Also, opt for blades that give a very close shave, and avoid the harsh aftershave lotions and splashes. When the bumps and pimples prevail, treatment is needed. So good luck guys! Don't hesitate to contact me if you have any skincare questions. PS - We just launched a Premier membership designed to help those who just really cannot get rid of their acne. As a member, you get free one-on-one advice from me, free shipping on orders, special member-only deals and promotions and access to a private acne support group. Check it out if you'd like! I am a freshman in college and binge drink 3-4 times a week. When I drink I do it in excess (at least 10 drinks per night). I have been on minocyline for 2 months and wash my face twice a day and after exercise and I also apply an acne cream twice a day. However, I have not seen much improvement. Do you think it could be due to the alcohol? 50 1 I am a freshman in college and binge drink 3-4 times a week. When I drink I do it in excess (at least 10 drinks per night). I have been on minocyline for 2 months and wash my face twice a day and after exercise and I also apply an acne cream twice a day. However, I have not seen much improvement. Do you think it could be due to the alcohol?